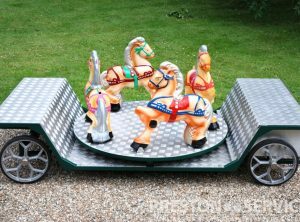 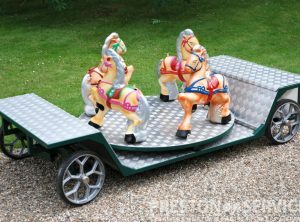 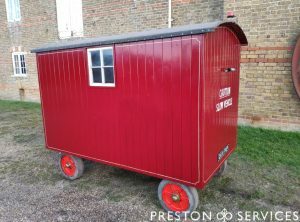 This unusual and attractive miniature van is accurately made with tongue and groove boarding, bow-top roof and solid rubber tyres. 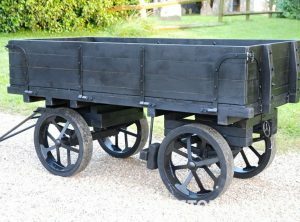 Steel chassis with a turn-table front axle and a-frame tow bar. 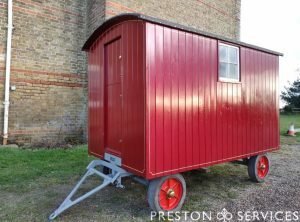 Fitted interior stable doors, lined exterior with safety light for roading, etc. 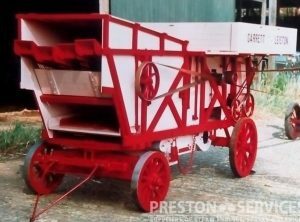 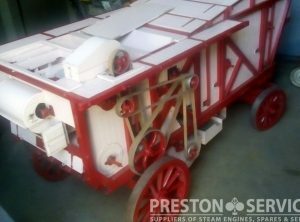 For sale is this brand new and unused 4″ scale drawbar traction engine trailer, steel chassis, fully sprung with timber dropside body, based on a full size traction engine stone cart. 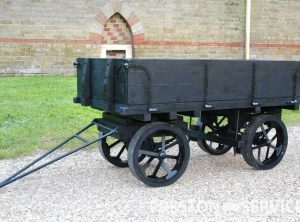 The ideal, correct-looking, matching trailer for carrying coal and water, or just for show behind a 4 or 4 1/2 Inch scale traction engines tractor or road locomotive.